Amusingly, it can also be defined as “The study and interpretation of types and symbols, originally especially in the Bible.” As I’m in no way going to be analysing the Bible, the former definition applies. Here, it refers to this paper, and after reading the abstract my initial reaction was to award it with the “Pointless Research Award”. A 67-year old patient of mine quit smoking earlier this year by switching to an e-cigarette, an impressive achievement after 50 years of smoking 20 cigarettes a day. He found using an Innokin T22 with nicotine-free e-liquid ‘90% as satisfying as smoking’. Recently a friend told him he could get ‘popcorn lung’ from vaping, so he stopped immediately and has been smoking several cigarettes a day since. In public health, the orthodoxy of harm minimisation is entrenched — especially when it comes to the use and abuse of drugs and alcohol. The principle is that approaches of outright prohibition or abstinence towards drug and alcohol use ignore the human reality of some level of use. It is better to recognise this fact and to develop approaches that ensure negative consequences are minimised and contained as much as possible. In the short time it’s been around, the vape industry has probably had more highs and lows than any other I’ve witnessed in my life. With thinly-veiled attempts at squelching the industry “to protect the children” by categorizing vape as a tobacco product and raising the age to vape to 21+ in many states; what is to many a life-saving alternative has been demonized in government and the media. The movie moguls of Hollywood have long been fascinated by smoking, and for a long time, even Walt Disney made use of smoking in its animated films. From Pinocchio smoking a cigar to Alice’s passive smoking in Alice of Wonderland, there are plenty of instances of smoking throughout Disney’s back catalogue. It’s fair to say, though, that smoking was far more frequently linked to villains in Disney’s early films than to the good guys, with baddies such as Captain Hook, Cruella De Vil and Hades all depicted smoking a cigar or cigarette. In June last year I wrote about a daft and unnecessary outdoor ban on smoking and vaping at Guy’s and St Thomas’ hospitals in London which was endorsed by ASH on Twitter. After an initial healthy curiosity about electronic nicotine delivery devices around 2014, a nervous pall seems to have settled over the use of e-cigarettes and vaping. Strikingly, it is members of the public health establishment that have fanned the pessimism surrounding the battery-powered devices that deliver nicotine without the carcinogenic tar. The agenda for the conference brought together key industry professionals to present their research and hold rigorous and honest debates on a wide range of topics regarding nicotine and e-cigarettes. 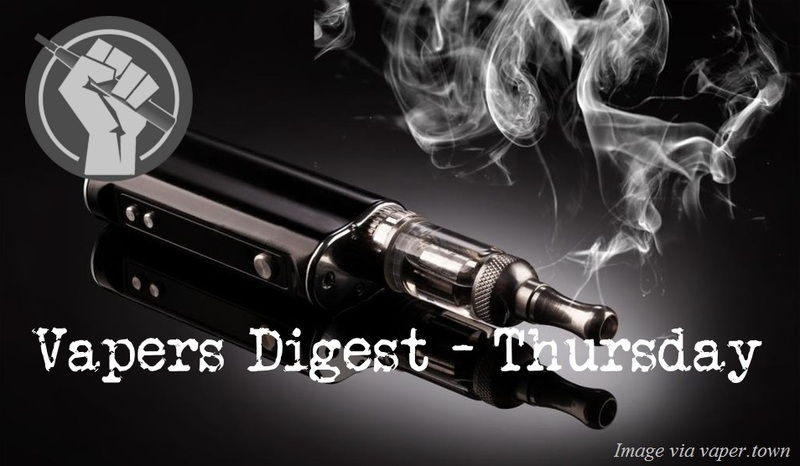 Liberty Flights Ltd. was represented by IBVTA (Independent British Vape Trade Association), and below we have summarised the presentations of interest from a few key speakers at the event. E-cigarette opponents routinely claim that e-cigarettes benefit from industry-promoted consumer health misconceptions in the same manner that so-called light cigarettes soared in popularity years ago, when, it is alleged, marketers created a mythology about the relative safety of “reduced tar.” In reality, there is more truth in those light claims than people suspect.